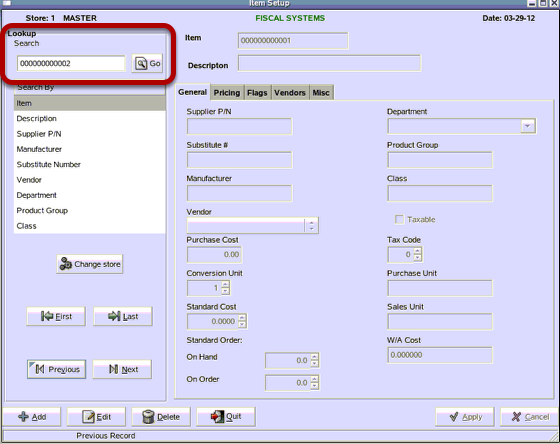 TravStar1 Point Of Sale SystemManager's Work Station Pricebook ManagementHow Do I Edit an Existing Item? 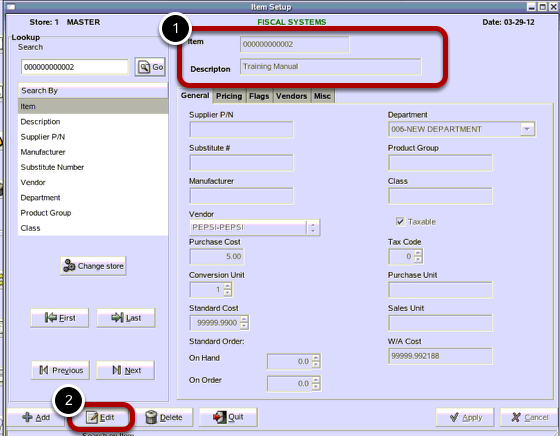 This lesson will teach you how to edit an existing item in your inventory. 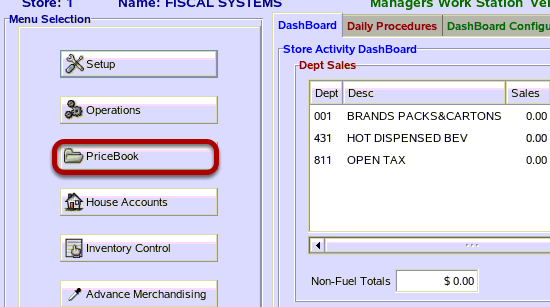 From the pricebook menu, click on the "Item Setup" button. From the Lookup menu, type in the PLU number you want to edit. Then click the "Go" button. (1) Confirm that the PLU you wish to edit is now viewable. (2) Click on the "Edit" button. 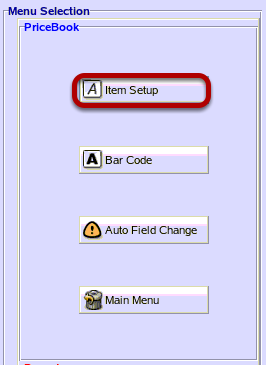 From the Item Setup screen, make all changes to the item. Then hit the "Apply" button. 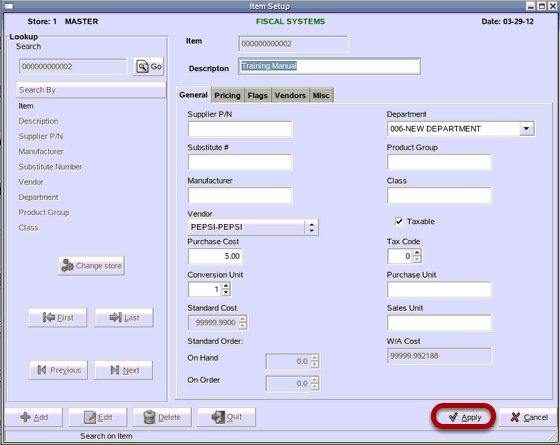 For additional information on the definition and use of all optional fields in the Item Setup screen, please see What Are Item Setup Fields. Prev: How Do I Add a New Item into Inventory? Next: How Do I Change the Retail Price for an Existing Item?